Well you wouldn't have believed it was late September from the weather we had today! It started off cloudy and miserable but it soon changed to a warm, beautiful sunny day, ready for the penultimate round of the 2014 All Terrain Rally Challenge. I was up bright and early and it was still dark when I set off at 6:30am. I signed on, dropped off the Wales Air Ambulance badges at the RallyMoto tent (thank you to everyone who very kindly donated) and then got my bike scrutineered. My start time was 10:04 and there were 4 laps to complete, with the first lap being a sighting lap. 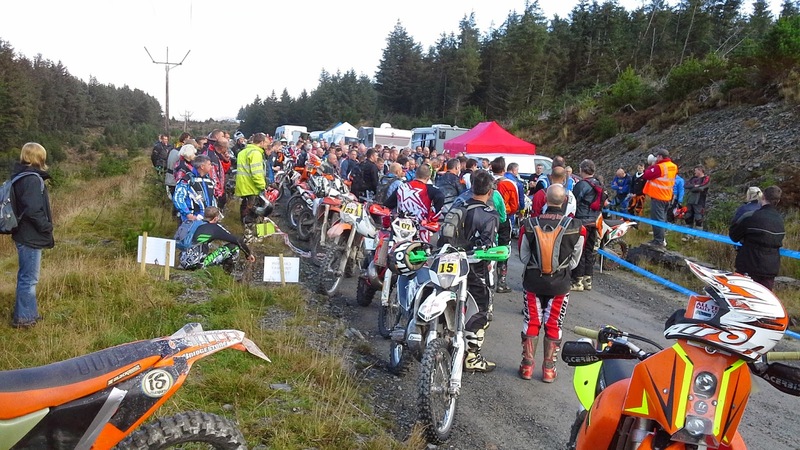 There were some great optional enduro loops out on the course, the test was long and fast and there was a good mix of trails and technical bits throughout. When I got back after the sighting lap I tightened my chain and replaced my goggle film ready for the first timed lap. On my second lap, I had a bit of a lapse in concentration (ok 3 of them) and came off in some very silly places on the going! The first two were successful dismounts, the third one hurt though, the front wheel tucked underneath me on a bermed section and it wrenched my left arm. I attacked the test for the first timed lap and then took some painkillers when I got back to the pits. Unfortunately I caught about 5 riders on the test and it probably cost me some time, hopefully I didn't put them off when I overtook! Somewhere along the way I managed to crack the welds on the radiator again and lost the guard as well. Frustrating! The 3rd and 4th laps were better, I kept a good pace on the going without tiring myself out and then rode as fast as I dared on the tests. I was pushing the bike to its limits for grip in some places but I felt like I rode pretty well and I really enjoyed it. 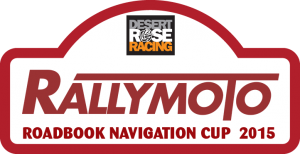 A big thanks once again to the RallyMoto club and all the officials and marshalls today, and well done on another fantastic event!